I love to harvest too. I have a very small place where I grow zucchini, jalapeño and bell peppers, cherry tomatoes and artichokes. Recently I just plated cantelup and acorn squash, hope they grow! It is very exciting to harvest. Unfotunately I don’t have the space to have animals, but I would love to! Good luck! Salad look yummy! We don’t have the space for animals either, the cow would have to live in the lounge 🙂 it would be wonderful though! Good luck growing your crops! We just moved to a place with a few things already planted and I am terrified I will kill them. Hopefully I will learn how to care for a garden properly. 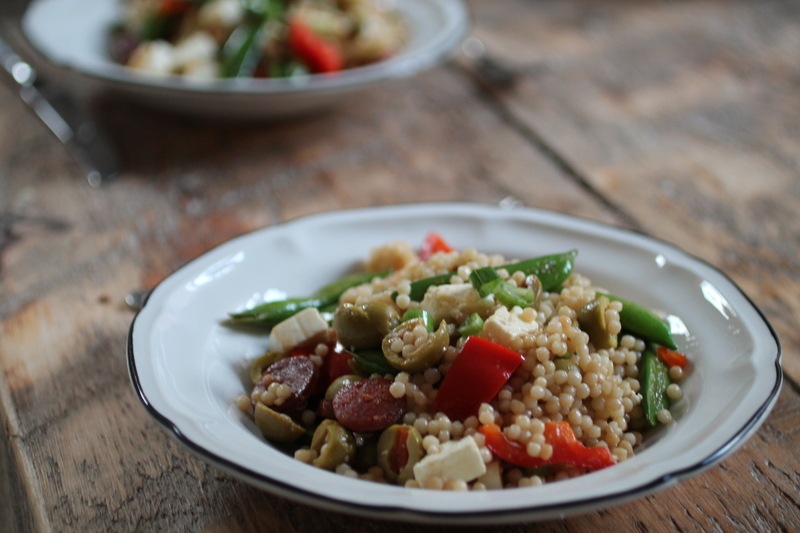 A cow would be easier for me to handle, at this point… Delicious looking recipe, too! Love love this! healthy simplicity!!! Oh my, this looks so delicious! I love cous cous! Hi there, love your blog and I just nominated you for the Dragon’s Loyalty Award. I hope you can stop by my blog for the details. I fancy having a small holding too. We also do not have alot of space…. not even for chickens, but I hear that quails do not take up alot of room….. though you need quite a few quails eggs to make up a dish! 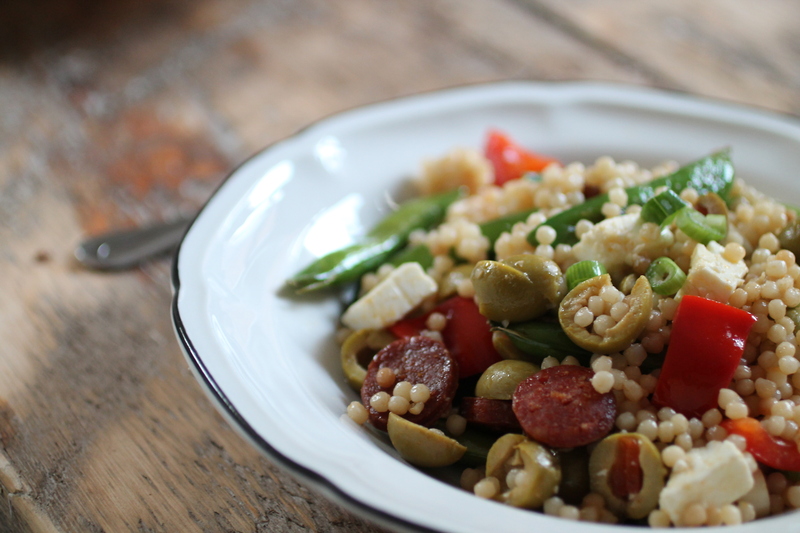 Couscous is so delicious and perfect as a base for a dish!